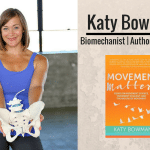 Stu: This week we welcome to the show Kate Kordsmeier. 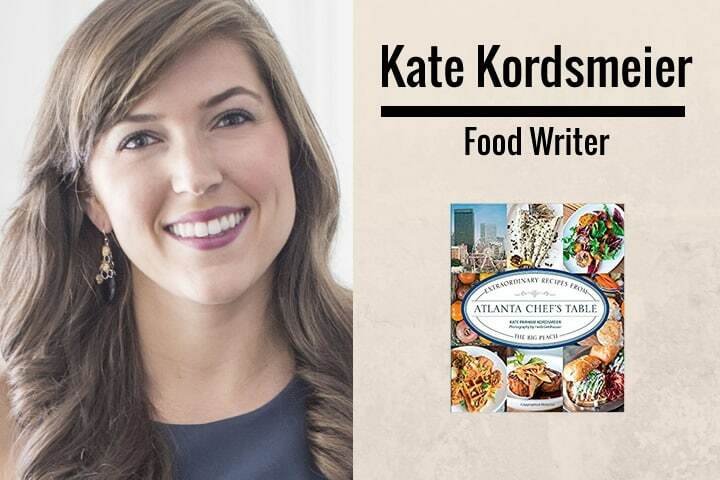 Kate is an Atlanta-based freelance food and travel writer and recipe developer for more than 100 publications, including USA Today, Conde Nast Traveler and many more. Kateis also the former Atlanta Editor for About.com, the author of the cookbook Atlanta Chef’s Table: Extraordinary Recipes from the Big Peach and the founder of Root + Revel, a food and wellness site devoted to natural living. So yeah, I live in Atlanta, Georgia, and I do the blog full time. Live here with our husband and our two cats and our dog, so they may make an appearance again. [00:03:00] Fantastic. So I was really intrigued … And we’re going to get into Root and Revel a little bit later on as well, but I was really intrigued about your story of the connection of food and healing. I know that there was some PCOS involved in there as well. And so I thought it would be a great place to start. If you could just tell us about your journey with PCOS, and also, probably first up, to describe to our listeners who may not be familiar with that term, what it is. [00:04:00] Yeah. Absolutely. PCOS is one of the most common and also underdiagnosed hormonal disorders with women. Stands for Polycystic Ovarian Syndrome. And I think one of the reasons that it’s so misdiagnosed is because it manifests itself differently in every woman. And there are a lot of commonalities, but just because you don’t have the symptom, doesn’t necessarily mean you don’t have it. So a lot of the main symptoms, and for me, the symptoms were things like acne, weight gain around my midsection, anxiety, irregular periods, bad PMS. It can affect fertility, of course. You can have cysts on your ovaries. That’s one thing that I personally did not have, which sounds like, well then, how could you have Polycystic Ovarian Syndrome? But it’s actually not a requirement to have the disorder. [00:05:00] So yeah, I learned that I had it after years of struggling with some digestion issues, and some other health stuff. And I ended up going off all prescription medication, just to go cold turkey and see if I could figure out, what is my body really doing on its own? I had been on hormonal birth control pills since I was 16, so I had no idea what was really going on with my hormones. And I went off, my body totally freaked out, and after a long journey of being dismissed by a lot of conventional doctors and just told to get back on the pill, for example, or … I was 26 at the time, and I was told a lot that this is … As you age, you have to eat less and exercise more. And this is normal. And I was like, no, this is not normal and I’m not old. [00:05:30] So I finally found a functional medical practitioner here in Atlanta. And she is the one who did a full blood work panel, looked at all of my hormones, my thyroid. She talked with me for a long time about my symptoms and my family history. And then was the one who diagnosed me with PCOS, and ultimately, who put me on the path to healing naturally. Fantastic. And what do you think were the triggers for that, specifically? Do you think it was linked to the pill? Or was it lifestyle factors? It’s so hard to say. There is some genetic link, I think. My mom also had it, and some of her sisters have it, too. So I think there’s some predisposition to having it. The pill absolutely did not help things, and certainly made some things worse. So I’ve never been able to determine the exact reason why I have PCOS. But certainly, food and lifestyle factors can impact your hormones, and the right and the wrong foods can make a difference in how healthy you are. Sure. And what specifically led you to explore a more natural approach to healing? I had tried everything else. I did not used to be in this whole holistic world. When I first started going to the doctor about some of my issues, I was hoping that they would say, “Take this pill and you’ll be better.” But I did, and it didn’t work. And I tried a new pill, and then … I was having a lot of digestion issues alongside this, and so at 26, I had a colonoscopy, which was very unusual. And I was definitely the youngest person by about four decades in there. So I did a lot of mainstream things to try and fix my digestion issues and my hormonal imbalances. And after none of those worked, I just sort of felt at the end of my rope. [00:08:30] And I think I came across a book called WomanCode around this time. And that really changed my life. 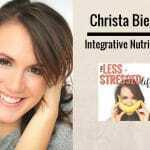 Not just because of all of the actionable tips that she provides, but because she really helped me see how interconnected everything in our body really is, and how what we eat and the products that we use and what we have in our homes and that kind of stuff really does make a huge impact on our health. And so I think after reading that, I started looking for a holistic doctor who could help me. And then once I started making some changes and everything started getting better, it was like, oh my gosh, I wish I had tried this years ago. So let’s talk about those changes. Where do you start? What was the first thing that you did? [00:09:30] The very first thing, I guess, is that I started following an anti-inflammatory diet. I didn’t have any idea what that meant when my doctor prescribed it to me. She sent me home with a little packet of information, and then I ended up buying a couple of books to educate myself further, one of which was called Clean Cuisine. Again, another book that totally changed my life. It was amazing. It really helped me understand the impact that food has on our bodies. And even though I’ve been in the food industry for my entire career, and it’s so obvious now. Of course, what we eat affects how we feel. It was really new to me at the time. I was like, huh. So certain foods cause certain responses in our bodies, which then impact our hormones, that impact our mood and our energy and our skin and our digestion, and all this stuff. But it was embarrassingly new information to me at the time. But it was really helpful and that made, probably, the biggest difference of anything in my health, was eating anti-inflammatory. Anti-inflammatory, then. I’ve got a reasonable understanding of what that might be, but for our listeners, is there … Are you talking grains and gluten? Are you talking dairy? Processed foods? What was the first thing, perhaps, that really made a change when you decided to ease back? [00:11:00] The biggest thing that impacted my health, and something that I’m really happy it was this way, was that it was way less about cutting out food groups, and especially entire food groups, and more so about focusing on getting the good in. Which then, by proxy, you do eat less of the bad stuff, because you’re filling up on the good stuff. But it was … For my sanity, and because I’m such a food lover and it was my job to eat at delicious restaurants around the world, and … I was like, oh my gosh, if I had to cut out gluten and dairy and soy and grains and this and that, I was like, what is the point of life? Is how I felt. And of course, a lot of people find amazing health benefits and healing from cutting those things out, and that is the point of life. But for me, I really just focused on adding in at least one, if not two or three servings, of fruits and vegetables at every meal. [00:11:30] And that really helped. I think before, I was really focused on low calorie, low fat, there was the fad in the ’90s but it has really clung on. And I was not focused at all on nutrients. And so I was nutrient deficient in a lot of vitamins, and focusing on nutrient-dense foods really made a big impact. Totally. Totally. We’re big proponents of not counting calories, but making what you put in your mouth actually count in terms of, let’s get more nutrition into every single meal. I was intrigued, because obviously, your food writing background, journalism background, and your love food can take a little bit of a turn when suddenly, you transition to whole foods. And in most people’s eyes or minds, they’re thinking, it’s steamed veggies and it’s clean protein. There’s not a lot of sauce on there, there are no breads and starters and desserts and things like that. Do you still enjoy those things, but in a different type of 80/20, moderation scenario? [00:13:00] Yeah, there’s a few things that I would say changed about my lifestyle overall. And there is not any food that I never eat, ever. So I do follow what I call the 80/20 rule, which is basically to eat as healthy as I can 80% of the time, and the other 20%, to just say, I’m going to enjoy my life and be a regular person, and I if I want to have cake at the wedding or even fast food on a road trip or something, obviously I would never encourage anybody to eat fast food, but it’s real life and sometimes you gotta do what you gotta do. So I try not to be too dogmatic about food. [00:14:00] And I also have found that … Two main things. One is that flavor does not come from flour. Flour is pretty flavorless. So things like bread and pasta, what makes those so delicious is usually the sauce and the toppings and what else is served with it. Even if it’s butter. So I really try to focus on adding flavor to dishes using herbs and spices and healthy fats and grass-fed, raw cheeses and stuff like that, that add a ton of flavor and nutrition, instead of relying on carbs and that kind of thing. And there are so many savvy … I have a series on Root and Revel, actually, called Savvy Swaps, where it’s like, you can make these really small tweaks to things that honestly don’t change the taste that much, but are so much better for you. So that’s another way that I get flavor in. Fantastic. And during your transition, you were focusing a lot on more nutrition, which in all intents and purposes, does crowd out all of the other processed foods. [00:15:00] What about the other factors in terms of external lifestyle factors? And I’m talking about things like managing stress, removing toxins through your personal hygiene products. What did you do for those, if anything? [00:16:00] Yes, both of those things were huge. Food definitely came first, but was not the only thing. Once I started paying attention to what I was putting in my body, it only made sense to then pay attention to what I was putting on my body. And in my home. And that kind of thing. So I really went on a big journey. I didn’t do it all at once, which was helpful and didn’t make it too overwhelming, but as I ran out of something, I would try to replace it with something that was natural and non-toxic. So that was everything from makeup to cleaning products and toothpaste and shampoo, and just everything like that. And it made a huge difference, especially with hormone balance, because a lot of those things contain fake estrogens and things that mimic estrogen in your body, which then of course would throw off your estrogen balance. And if you have hormonal disorders, would prevent you from healing. So getting rid of those things was really important. [00:16:30] Yeah. It’s amazing, really, when you think that we live in a society, really, that doesn’t place a great deal of science in the fact that what we’re eating and what we’re putting on our skin can actually impact the way we feel and think and look. But there’s a pill for everything, right? [00:17:00] Yes, there is. I know. And it’s just crazy how many doctors don’t even ask you about your diet and lifestyle, and just … I guess it’s part of the flaw in our education system, I think, is because they’re trained and educated to treat the symptom with pharmaceuticals. And I don’t know if Australia is a lot better than the US. The US is horrible. Our government does basically nothing to protect us, and even to let us know what’s in products. The labeling laws over here are ridiculous. So it’s tough. Yeah, I think we’re pretty similar over here. There’s a small underground movement which is certainly more in line with functional medicine. There’s the cat again. That cat loves you. She really wants to be on the show. She does. Should call it the Cat and Kate show. Did the results come quickly when you made your changes? [00:18:00] Some did. Some took a lot longer. Patience is not my strong suit, so there were moments for sure when I was like, is this even working? But certain things got better so quickly. My digestion. I really struggled with constipation for years. And within a week of eating anti-inflammatory, it was gone. So that was really quickly, and I think that’s what really motivated me to keep going, was seeing, wow, this is really making a difference. I had tried everything before this. Medications and laxatives, even. Just a million different things. And fiber supplements. And nothing worked. And then I just started eating more vegetables, and it was like, boom, done. Yeah. The PCOS took a little bit longer. Especially having been on hormonal birth control pills for so long. Took awhile to get it all out of my system and for my body to re-regulate itself. So that was a little bit more of a process. And how was your sleep at this time? Maybe pre-journey and then after that as well? Fortunately, I’ve always slept pretty well. But the problem with my sleep, I would say, is that it used to be that I could sleep for eight to 10 hours and still wake up exhausted. I just had no energy in the morning, and a lot of that was because my cortisol, which is the stress hormone, was completely out of whack. So it was spiking at mid-afternoon and dipping in the morning, when it should be going morning and then down all day ’til you get to sleep. So getting that together and treating … I also have hypothyroidism, so treating my thyroid was really helpful with that fatigue and energy. Okay. Interesting. So tell me a little bit more about hypothyroidism. What is it, and what are the symptoms? And apart from the change to anti-inflammatory approach to diet, was there anything else in particular that you called upon to treat hypothyroidism? [00:23:30] Does that make sense? Yeah. There’s all kinds of other artificial fillers and chemicals and things added. Sugar and things like that. So there’s no fillers. And the best thing is that it’s completely tailored to my exact levels. So I get my thyroid levels checked quarterly, and then they make up this … I have to go to a special compounding pharmacy, but they make up this supplement for me, and it’s exactly the amount of T3 and T4 that I need, and nothing else. So it’s as close to natural as you can get when it comes to medication. [00:24:00] Yeah. No, that sounds quite different to conventional medicine right now. And what are your thoughts on conventional versus integrative? 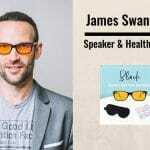 Because there is … Certainly in this country, there’s a huge change now towards the methods and systems that are utilized by functional practitioners in looking at things like the microbiome, leaky gut, hormones, mitochondria, DNA as well. All of that kind of stuff which is really becoming quite cutting edge. But certainly, we’re seeing more of that. Are you hesitant to go and see a conventional doctor right now, after your experience? Oh yeah, I would never go back to a conventional doctor. I feel like I did that for too long, and just wasn’t heard and yeah, and wasn’t helped. I do try to go … I go to a naturopathic doctor and I also see a holistic MD. So I do believe there is a time and a place for prescription medication and conventional treatments, but I think that at least in the States, we are so overprescribed, and it is our first line of defense for everything. And I really like to take, now, the natural, holistic approach first. Try things that are more diet and lifestyle changes. And then, if those still haven’t worked, then you can look into what medication is out there and try to find one with the least amount of side effects and additives and all of that. [00:25:30] So I’m not against prescription medication by any means. I just don’t think it should be our first line of defense. Rather, a last resort. Yeah. No, I agree. I definitely think there’s definitely a place in society for conventional medicine, of course. But I think our systems are a little broken right now in terms of time allocated to patient and also, like you said, the ease with which antibiotics are given out for everything. And the impact that that can have on the gut and everything under the sun. So yeah. Definitely worth exploring other options, for sure. Because you will find a million and one stories out there of people that are thriving by doing different things. Thank you. And so when I was trying to find an OB, I did go to a couple conventional OBs first, and when I went to one of them, they said, you have a UTI and so you need to go on antibiotics. And I said, I don’t have any symptoms. I’ve had UTIs before, they’re horrible. I feel like I would know if I had a UTI. And they said, no, you have one, you need to go on this antibiotic. I said, are there any other options? And they said, we can hospitalize you, because if it spreads, you will get kidney disease. [00:27:30] So it’s very fear-based. But I just felt in my gut that I did not have this, and that we should at least get the urine culture to see if I really did, what strain to I have, what do they need to treat, exactly? Don’t just give me some run of the mill antibiotic for no reason. And two weeks later, I still had no symptoms, so I went to a new doctor. They did the test again, and they said, you don’t have a UTI. It must have been a false positive. And it was like … You know? So many times, I used to be that way, where I would just … I’d just trust them, because well, they’re doctors. They know. If they say I have this, and I need to take an antibiotic, I should do it. And once I started questioning things, you realize mistakes happen, false positives happen. There’s other ways to treat things. So I think just questioning things. And you drop a course of antibiotics at a whim, and you permanently change the integrity of your bacteria in your gut, and your gut is the epicenter of all health. And it’s really hard and it’s slow to get that back, if you can. So yeah, totally. And I’m convinced that the ease and frequency that we’re being prescribed and taking antibiotics has a knock-on effects to things that we’re seeing in society that we never used to see. Like food intolerances in children. Oh, wow. Stu: Yeah. You can count the rings under my eyes. [00:29:00] I am. Very hormonal household. But every other one of their friends has a food allergy or an intolerance to something. And I just … I’m rewinding back to my school days, when nobody was intolerant to anything. And there were no overweight children. But nowadays, it’s a little different. So yeah, it has to be coming from somewhere. [00:29:30] Right, and it’s the same thing with fertility. I feel like every other one of my friends struggles to get pregnant. And to keep the baby once they do get pregnant, and that kind of thing. And I think … I don’t know that … It seems like it’s more common than it ever was, for these fertility struggles, and I just wonder. Yeah, because we have all these chemicals and fake estrogens and things in our body that are messing with our hormones, and we didn’t have 50 years ago. [00:30:00] [00:30:30] Totally. I think the body is unbelievably intelligent in being able to self-sustain. And the body will know when you’re missing vital nutrients that you just need to do stuff. And the stuff might be making a baby, the stuff might be digesting and processing nutrients from the food that you eat to thrive. But it’s very easy to put that out of whack. Crikey, look at a basic biological structure, like a plant. And give the plant something other than water. Let’s pour soda pop on a plant and see what happens to it. It’s not going to thrive. Yet we do this kind of stuff all the time. [00:31:30] Yeah. I started Root and Revel once I saw the dramatic changes in my own health and body from doing things this holistic way. And like I said, it was new to me at the time. I was so amazed by this. And I felt like I have to share this with the world. If I was struggling with these things, I’m sure that other people are, too. I’m sure they’re also being dismissed by their doctors or just given a prescription slip and sent on their way. So I really wanted to help people that were going through something similar get to the root cause and learn how to treat it naturally. [00:32:00] And then coupled with my own story of that is the fact that I spent the first decade of my career being a food writer, where my job was to find the most delicious food. Not anything to do with health. But all that to say that I have a good palette, and having taste and flavor is paramount to me, and so I knew that I was never going to be somebody that would just say, “Oh, let’s just steam some broccoli and bake a chicken breast with nothing on it and call it dinner.” So I really wanted to show people that healthy and delicious don’t have to be mutually exclusive. That you can have both. [00:32:30] Great. Fantastic. And just touching on your food background as well. Are you finding that the restaurants are changing and following the trend of wholesome food as opposed to tasty, chemical-laden creations? [00:34:00] Yeah. Sometimes I just feel like people are just trying to be outrageous and make something that’s just crazy to get noticed. And there’s things like Starbucks. At the same time as they’re trying to take out caramel color from their pumpkin spice lattes, then they’re making this ridiculous unicorn drink. I don’t know if you guys got that or heard about it. I’ve seen it, yeah. I have seen a picture of it. I thought it was just a Photoshopped creation. But it actually wasn’t? And does the food writing cross over into Root and Revel? [00:35:00] When I first started the blog, I continued freelancing, about part-time. And I did the blog part-time. And last year, I went full time with the blog. So I don’t freelance anymore for magazines and newspapers and that kind of thing. But of course, I do use my background in food writing and recipe development. That kind of stuff is all part of Root and Revel. Fantastic. Tell us a little bit about your typical daily diet, then. So it’s … What time is it over there for you at the moment, Kate? Oh gosh. Well I am pregnant, so it’s not as healthy as it normally is. It’s going to be ice cream and donuts. [00:36:00] Yeah. Pickles and … Yeah. Actually, today hasn’t been bad so I will tell you what I had today. I hosted a baby shower for a friend this weekend and made deviled eggs, and I had a ton left over. So I made a big thing of egg salad. I had that for breakfast on gluten-free toast. And I don’t know if you guys get the brand Canyon Bakehouse, but they make my favorite gluten-free breads. So I had that for breakfast, and I had that with butter coffee, which I do every morning. And let’s see. For lunch, I had split pea soup. It’s March 26th today, and normally in Atlanta, it would be 70 degrees, minimum, but it’s been 40. It’s been freezing, so I’ve been all about the soup lately. And like I said, I’m pregnant, and the last thing I feel like doing these days is cooking, so I just bought an organic split pea soup that had nothing but organic split peas and onions, carrots, celery. That’s it. Yes. I’m trying to. I’m definitely eating more carbs than I normally do and more sweets. But yeah, if you had asked me this question a few months ago, I would have had a much better answer. [00:38:00] [00:38:30] Let’s see. That’s a good question. This is my first pregnancy, so I don’t really have anything to compare it to, like what I did last time. I do take the approach with pregnancy that, with a few exceptions, if something was healthy for you before you were pregnant, it probably still is good for you. There’s so many rules and restrictions now, and I really … I did a ton of research and looked at the evidence and the science, and said, you know what? Fish is super healthy and I’m still going to eat sushi from high quality sources. And things like that. But yeah, I think just trying to minimize processed foods and chemicals is always my number one thing. I’m eating more convenience foods than normal, but I’m getting organic options that don’t have all the junk in it. So if I didn’t know any better, I probably would have been eating more fast food and just indulging my every craving. I totally agree. Yes. I totally agree. Stress is so impactful. And yeah, if you’re stressed about every little thing you put in your body and you’re not enjoying your life. If you have a severe allergy or intolerance, of course, don’t eat those foods. But I have just always felt like, I don’t want to be the girl that shows up at a party with her own food because she couldn’t possibly eat what’s being served. [00:41:00] I get it. We’ve been blessed, as well, to have some really great guests on this podcast, and there was a chap that we had on last year, who was a biologist. So he’s a world famous biologist called Bruce Lipton. And he had an emphatic science that prove that you can think yourself to a better state biologically and physically as well. Just through the hormones that your body produces when you’re in any given state. Totally. So if you’re upbeat and you’re happy, then you’re going to be creating all these excitory hormones that help to repair your body. But if you’re constantly worried and concerned and stressed, you’re going to have the cortisol rises in your body and that can be damaging in itself. Totally. And mindset, for me, I think is everything. I was just going to say, even the process of being aware that I’m getting stressed about this. Or why am I getting stressed? Can actually change what’s happening in our bodies as well. It’s that cat. It’s that cat. You’ve got to give it a good brush. [00:42:00] No, it’s sneeze on the truth. Sneeze on the truth. Yeah. I totally agree. And I feel like if you don’t enjoy your food, to me, that’s just such a huge part of life. And I also found, then, that when I did allow myself to indulge, I appreciated it so much more because it wasn’t something that I did all the time. I really slowed down and savored when I was having something that was maybe a little less healthy, rather than mindlessly just shoving it down and moving on to the next thing. [00:43:30] Yeah, very good questions. One thing is I have this refillable stainless steel water bottle, and I try to drink three of these every single day. And I pretty much only drink that. Right now, I’m drinking a sparkling water, too. But I really don’t drink … Other than coffee and occasionally alcohol, I really just stick with water. I think that was really important. I never was a big soda person or juice or anything like that, but I do find a lot of other people are, and it’s such a waste. It’s just terrible. I just really can’t say enough horrible things about soda. It’s that plant analogy. Pour soda on the most favorite plant in your house and see what happens. [00:44:00] [00:44:30] Yeah. It’s terrible. And there’s all these videos of how Coke can get rid of rust on a car. And it’s like, is that what you want in your body? If it’s able to kill rust, what is it killing in your body? Yeah. So water’s big. Honestly, it’s kind of the basics. Sleep is really big for me. I try to get at least eight hours of sleep every night. So winding down and usually in bed by 9:30 or 10:00. And because I work from home, so I have no commute and I don’t always have to look so presentable to go to an office or something, I do sleep in a little bit. I guess it’s all relative, but I usually wake up between 7:30 and 8:00. Yeah, so sleep is really big. [00:45:00] And then for me, yoga is huge. I don’t necessarily do it every single day, but I do try to do it at least four times a week. And that totally … It helps so much with my anxiety, it helps with digestion, it helps with hormone … I mean, everything. And it’s just a good way to slow down and be present and learn how to be in the moment more. So yoga would probably be my other one. And do you practice that at home, on your own? Or do you go out to a class for that? [00:45:30] I go to a class for that. Currently, I am a member at this studio called Core Power. They have a few different classes. So I’ll switch it up. They have some classes like yoga with weights, and then they have some that are super, super hot and really slow. So I’ll mix it up. But I do like going to a class I feel like … Especially working from home. I’m here all day by myself. It’s nice to be out in the world and be a part of it a little bit. Great. Fantastic. Last question. Given your extensive knowledge of food and the journey that you’ve had as well, could you share any … It might be one or two of your top tips that you think could make the biggest impact on our health? [00:46:30] I already said it, I think, but one of the things that really, it just resonated with me and worked so well for me, is just focus on the good. I get emails from readers all the time. Should I eat gluten? Should I cut out dairy? Should I do this? Should I do that? I’m like, you know what? Just stop, and just say, every meal, I’m going to eat two servings of vegetables. And eat it with whatever you want. And that’s just a good way to get started and to retrain your palate. So I think that is my number one tip. And a great way to do that, and this also answers your question of other things I do every single day, is drink a green smoothie. Fantastic. Yeah. Absolutely. Drinking your nutrients like that is better … Well, more common to your digestive system as well. You haven’t got to process a huge meal. And obviously, from a time saving perspective, as well. You can get a really good meal, really, really quickly. [00:48:00] Right. And I prefer that, smoothies, to juice as well. Because I like getting the whole fruit, the whole food with the fiber and everything. And people will say, oh, I don’t know, it’s so much fruit. People get scared of fruit now. There’s sugar in fruit. And I’m like, listen. Nobody ever got fat eating too many bananas. [00:48:30] Absolutely. And I think you’re right. Smoothies versus juicing, as well. Obviously, we’re in that industry. But it’s hard to overdose on fruit when you’re blending, because you do get all of the fiber in there as well. But when you’re juicing, yeah, it’s very easy. You can eat 10 apples, or you can drink the juice of 10 apples very easily. But try eating 10 apples. That’s not going to work so well for you. So yeah. Absolutely. Whole food nutrition, blended down. Great way to get some really, really … A loaded meal in there. 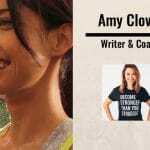 [00:49:30] Well, not necessarily health related, but because I have had some relative success with Root and Revel and blogging, and I have been an entrepreneur my entire career and I love business and helping others, I do some one on one coaching, both for health and wellness and for writers and bloggers. But I am working on a course right now about how to turn your passion for food and wellness into a business. So that’s taking up a lot of my time. And let’s see. Pretty much that, and just keeping up with the blog every week. It keeps you busy, doesn’t it? Oh, man. It really does. [00:50:30] Yeah, thank you. RootandRevel.com is my blog. I’m at Root and Revel on pretty much all social media. And I would love for you guys to check out the website. And then we’ve got a lot of free downloads and things that can help you out. We have quizzes that are free, too, if you’re unsure. If you’re like, I have some symptoms, but I don’t know if I have PCOS or hypothyroidism. We’ve got some quizzes to take that can help. Obviously, I’m not a doctor. It’s not an official diagnosis, but can give you a little bit of a better idea. So yeah. I’d love to chat. [00:51:00] Fantastic. Well, we will put all of those notes and links and associated info into the show notes as well, and blast that across the universe. And hopefully, we can send some traffic your way and people will enjoy what you’ve got to say. ‘Cause we’ve had a great time this morning, so I really appreciate your efforts in explaining everything that you’ve been through. And it was good say hi to the cat as well. Yes. Yes. Thank you for having me. I really enjoyed chatting with you. Well, hopefully we’ll speak to you in the not too distant future. Thank you very much. Kate: Bye. Stu: Bye bye.